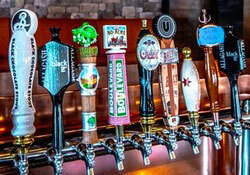 Located right in the middle of DC’s Chinatown district and Penn Quarter neighborhood, a short walk from local attractions, including the Verizon Center, Walter E. Washington Convention Center and the Smithsonian American Art Museum and National Portrait Gallery–City Tap House is Washington DC’s newest go-to gastropub destination for craft beers and gourmet, American pub food. A wide selection of craft beers in bottles and on tap. Menu here. 03/19/2015 Where to Watch March Madness in D.C.
08/25/2014 Oregon's Deschutes Brewery Making Inroads in D.C.
06/10/2014 Where to Watch the FIFA World Cup Soccer in Washington D.C.